What makes the Syinix AC good? Before Syinix launched its AC products, a large-scale customer survey and benchmarking were done which made Syinix so familiar with consumers’ pain-points, expectations and troubles competitors cannot solve yet, but Syinix can. 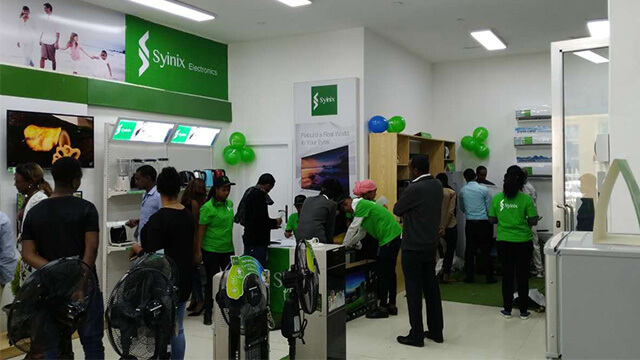 First Syinix brand shop in Ethiopia celebrated its grand opening on Saturday, July 15, 2017. 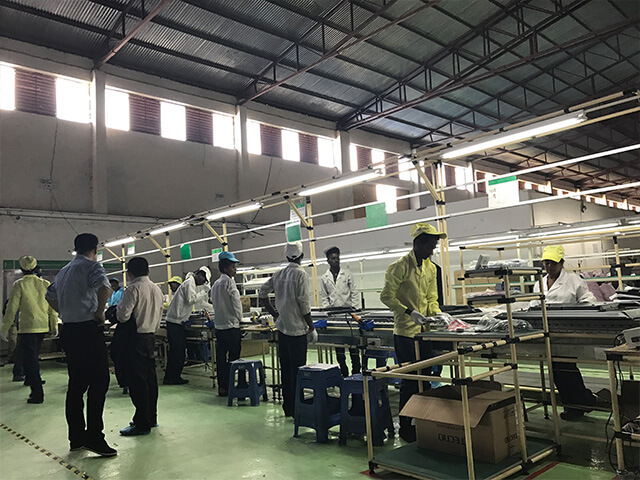 The ceremony was held at MegenagnaZefmesh mall, Addis Ababa, witnessed by more than 170 customers from all works of life. Three days later on July 18, the second Syinix brand shop in HaronTower, Piassa was opened too, and attracted over 200 customers. 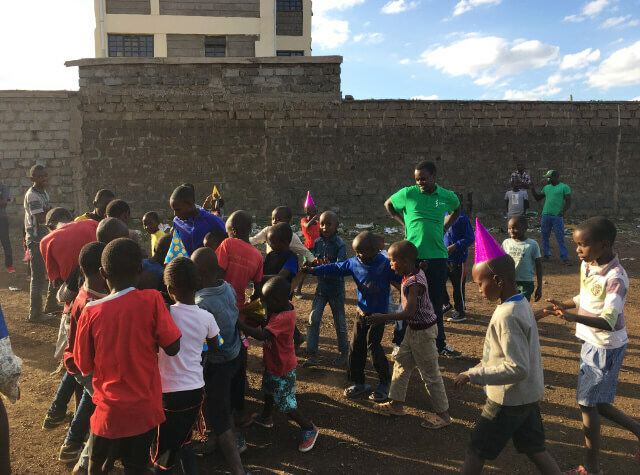 In honor of the World children’s day/Madaraka Day celebration, we at Syinix were thrilled to share the event and joys we impacted to the Joyful hearts of the young souls at Emmanuel children’s home. 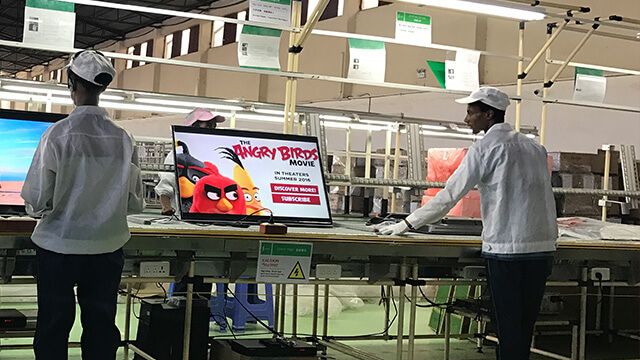 On the 1ST of March, Syinix electronics is pleased to announce that its factory which is located in Alemgena area has finalized the process for the assembly of different TV models. 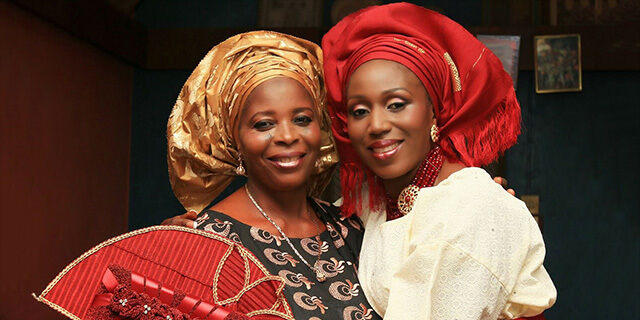 When it comes to Life related issues,mothers are known to give the best advice. What kind of surprising gift you want to get this Easter season? What if you can play an interesting online game and win prizes at the same time? 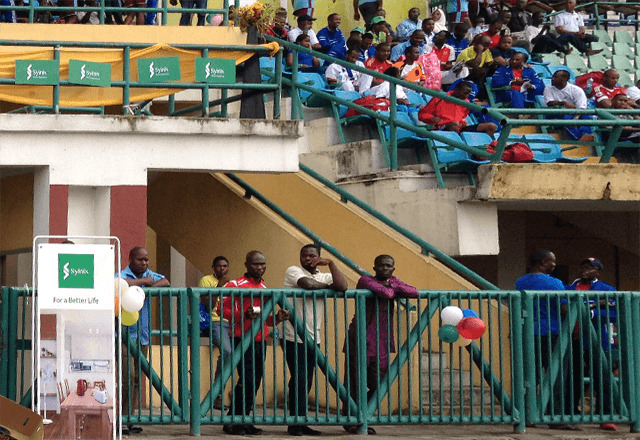 Here is the big event happening now in Nigeria. 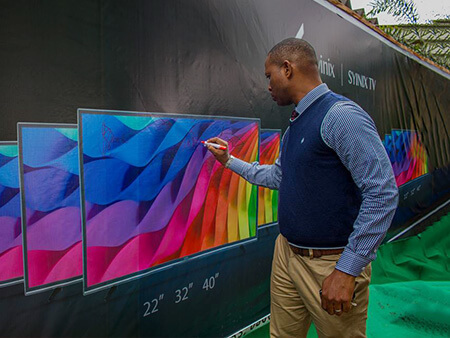 On the 11th of July, the Japan-originated electronics brand Syinix officially launched its TV sets in Nigeria, catching the grand Final of the European Cup to provide epic viewing experiences for the Nigerian football fans. 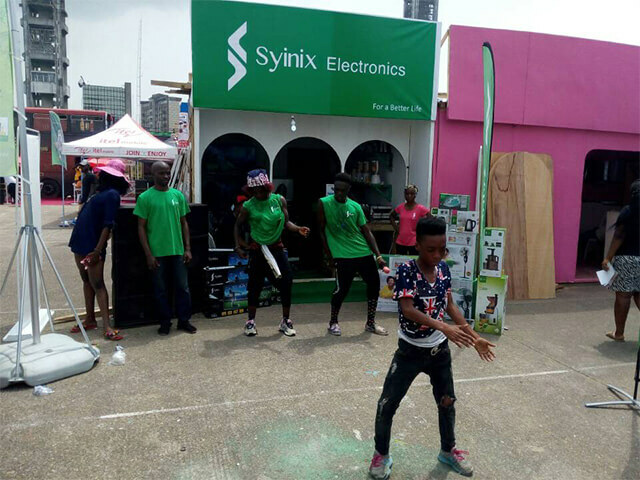 Syinix, a Japan based professional electronics brand, attends Lagos International Trade Fair these days and attracts flood of people. 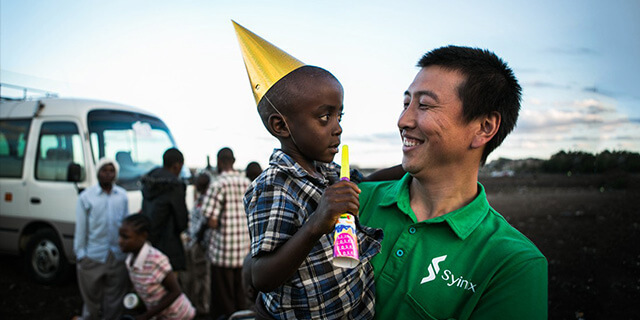 On October 20th, Syinix group visits Emmanuel Children’sHome in a cosponsored charity campaign with Infinix. 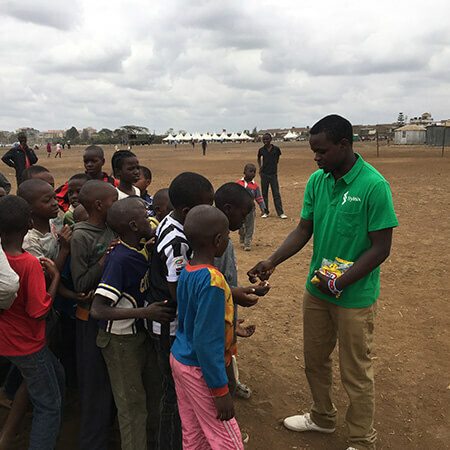 We played with the kids, brought food staff and mentored them in mentorship groups and also involved them in learning activities. This Easter, Syinix has painted the street in Syinix Green. 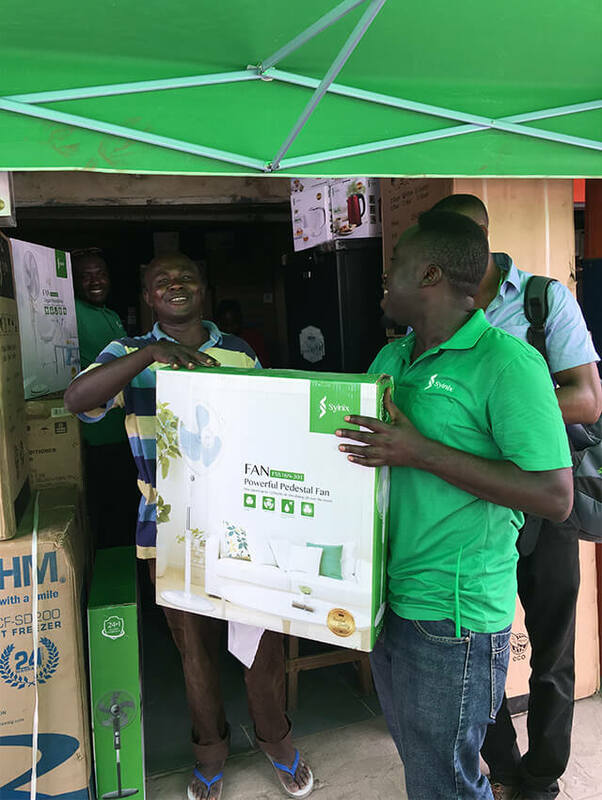 Brilliant road shows and discounts are given at 6 participating stores, which are 3CHUB, Pointek, Adebowale Super Stores, Glorious Opportunities, Smartek and Mila Holdings. 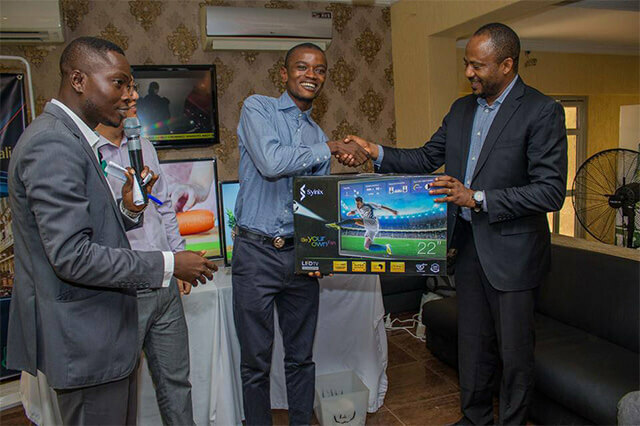 On March 5th, 2016,Syinix co-sponsored the 16th Nigerian Oil & Gas Industry Gameswith TECNO Mobile, the leading mobile brand in Africa. 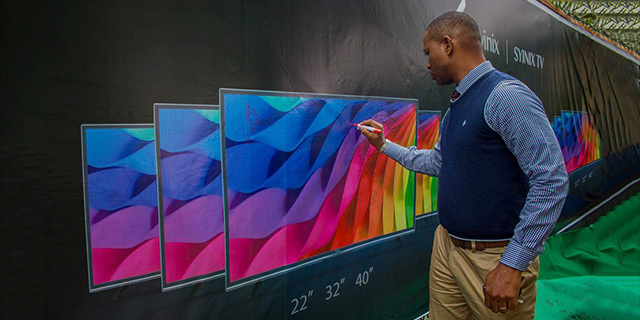 The gameevent takes place every two years and has caught attentions within the entire Oil & Gas Industry and Lagos. What makes the Syinix AC good? Before Syinix launched its AC products, a large-scale customer survey and benchmarking were done which made Syinix so familiar with consumers’ pain-points, expectations and troubles competitors cannot solve yet, but Syinix can. Originated from Japan with a basic principle of “For a Better Life”, Syinix is a professional electronics brand committed to becoming a practical family choice for warm and cozy lives. The products come with simple and elegant finish design, easy and optimized user experiences. 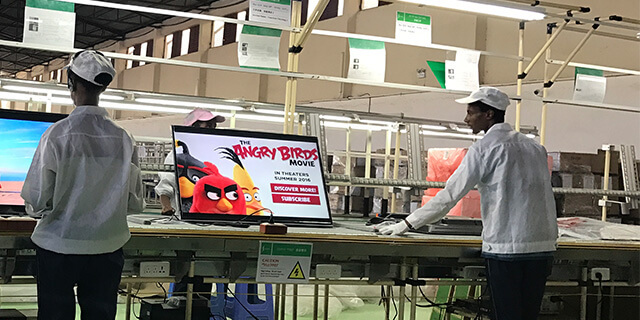 It has professional TV production lines now in Ethiopia. Syinix has a top-notched team of designers, and high quality products certified by the international ISO9001 quality management system and CE safety certification adopted by the EU. It continuously strives to enrich the living experience for each family worldwide. 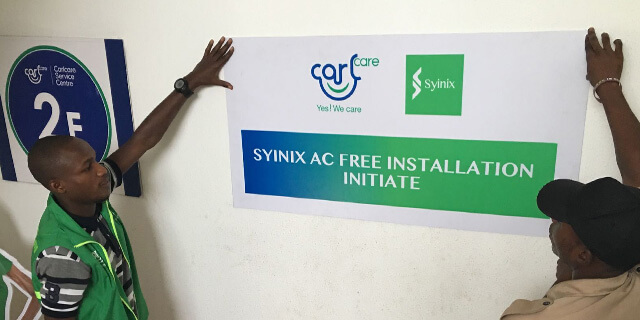 Syinix provides first-class after-sales services for its customers by cooperating with Carlcare Service Centre, which is a leading service brand for consumer electronics in Africa with many shops in African countries. 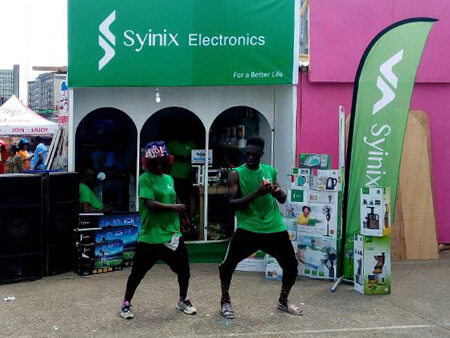 Syinix TVs were first introduced to Ethiopian people at the opening ceremony. 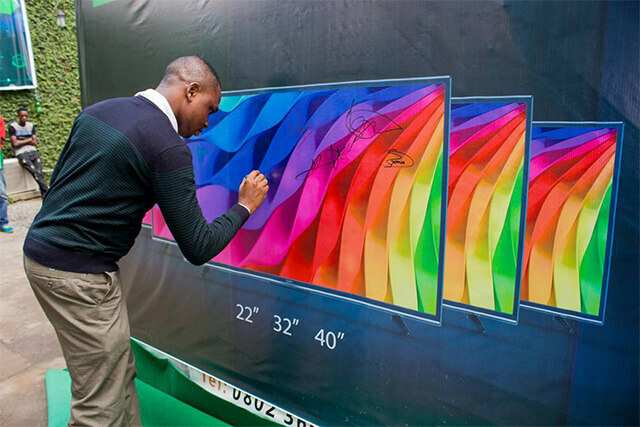 The TVs have 6 size options of 24, 32, 39, 43, 49 and 55 inches. All TV sets are super slim with high-resolution screens, equipped with convenient multiple terminals for multimedia entertainments. It boasts of superb pictures and voices thanks to functions like color fidelity, sharp contrast, and supports local language menu display and USB play as well. 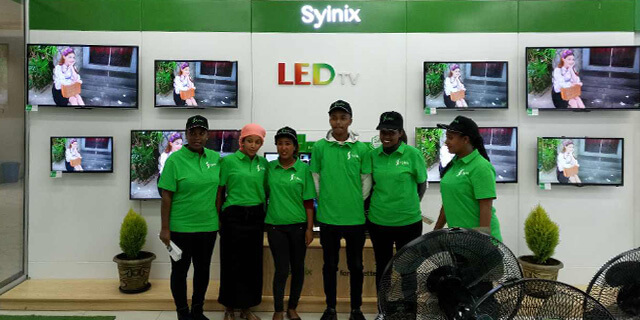 The newly released Syinix products, TV sets particularly, are available now in Ethiopia.We released a 15% discount on Syinix new 32 inches LED TVs from July 15 to 21 of 2017 at Syinix brand shops! 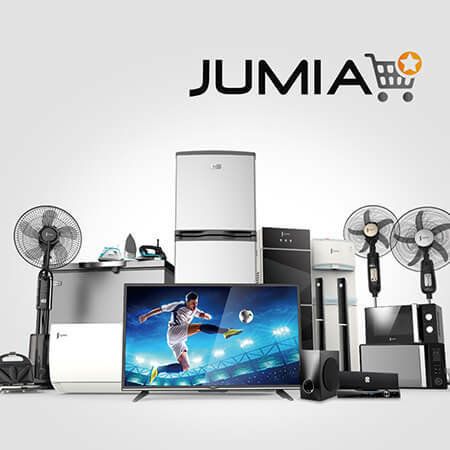 Syinix has partnered exclusively with Jumia Kenya - Africa's No. 1 Online Store, to provide a complete shopping solution from 5th June 2017 onwards. 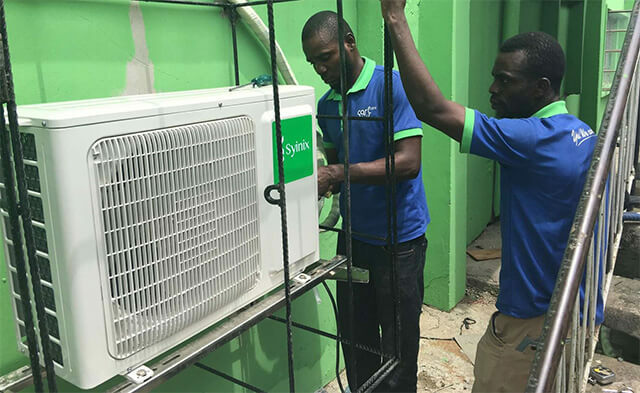 This is in a bid to ensure that we reach and satisfy all our customers. 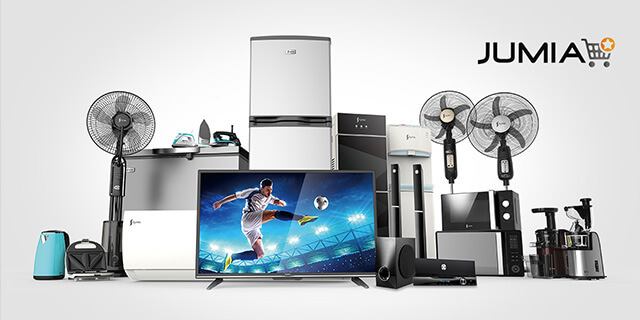 To offer our customers with the highest Quality Home Appliances and Quality after sale services. 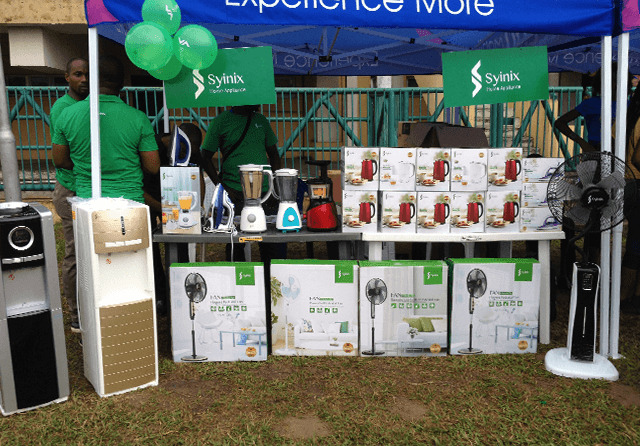 Syinix possesses a comprehensive product portfolio of home appliances with different models, including blenders, kettles, electric irons, juicers, citrus presses, refrigerators, chest freezers, water dispensers, rice cookers, fans, gas stoves. 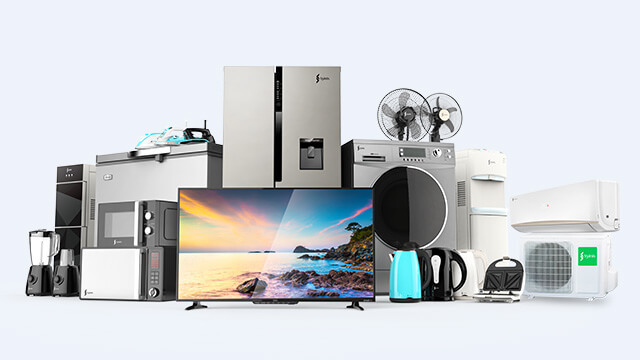 You can visit Jumia at https://www.jumia.co.ke/catalog/?q=syinix for listed products. 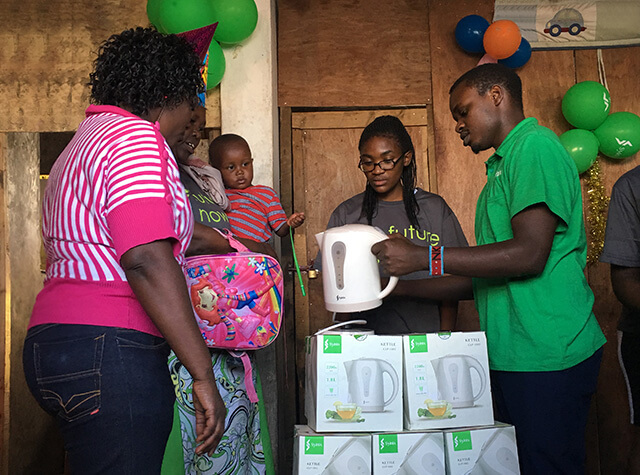 production took the liberty to visit Emmanuel children’s home with various gifts. Having done a detailed research of the conditions at the home, Syinix took the initiative of offering the facility with Ten hot water Jug kettles. This was in a bid to reduce the causes of Amoeba and other water borne diseases that the children often suffered from. The hot water Jugs were to be shared in the ratio of one jug to ten children. The event was organized to impact the children with a positive allure to life. 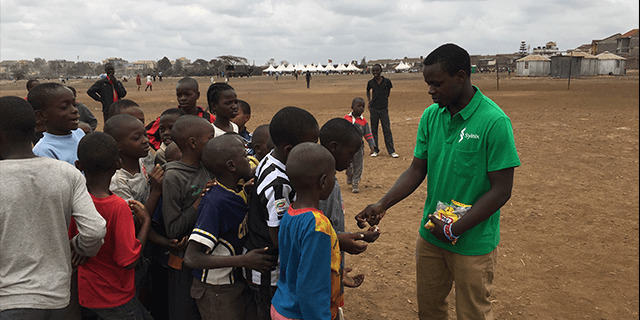 Syinix in partnership with CCTV Video production had organized activities that were tailored to empower the children on their Education as well as their health concerns, through mentorship programs and educational gifts from syinix and Infinix brands. 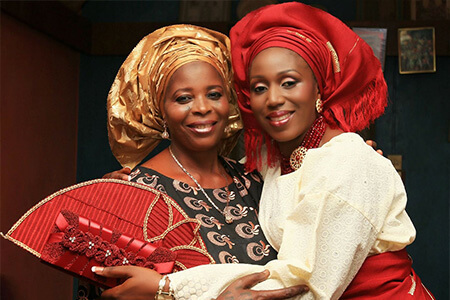 We made sure to play a role in ensuring that their Health was taken into consideration. •	Imparted a sense of worth to the children. •	Mentored the children according to their specific need. •	Facilitated to their well-being through physical activities. 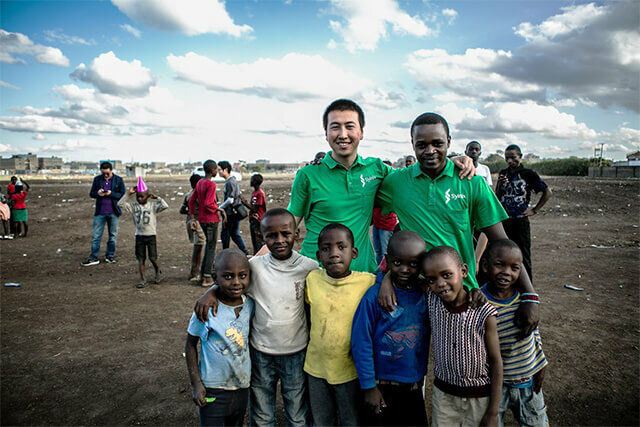 •	Positive Impact to their Education life though nurturing. •	Social interaction with the children. •	Gained a large audience from Soweto citizens present at the games venue. 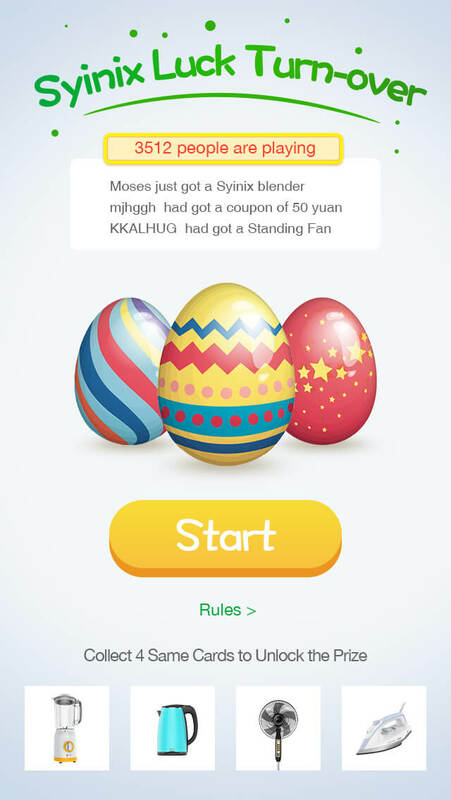 Cannot wait to play？Now clink the link http://www.syinix.com/easterng and login with your Facebook information to access the game. Press the start button and your game is activated. Here are 9 cards and you need to turn over one card among those 9 cards each time. 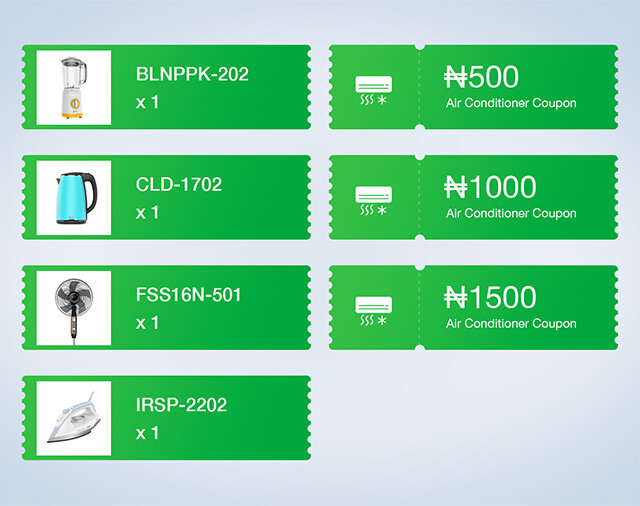 When you get 4 same cards of one product, including Syinix blender, Syinix kettle, Syinix iron and splendid Syinix standing fan, you’ll win that product. 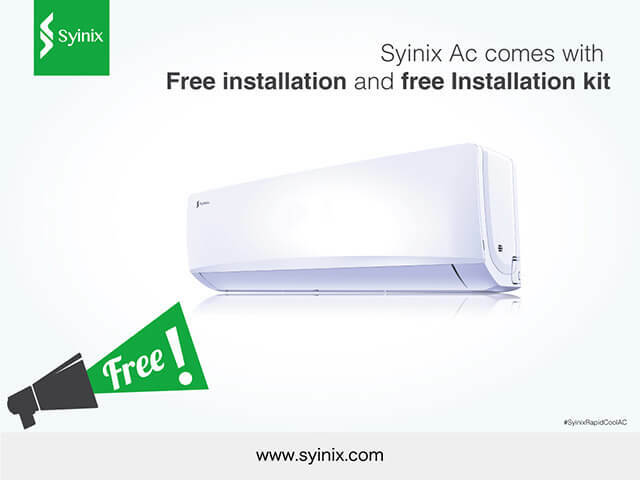 You can also win coupons and Syinix big offer (for example, coupons of Syinix Air conditioners) at Syinix authorized dealer outlets. 2. You have 4 chances to turn over cards each day. Share to friends one time by pressing the button, you’ll get 2 additional chances, and 12 times is the upper limit each day. Cards you get each day can be accumulated during the whole activity period. 3. If you successfully get 4 same cards of one product, you need register with your full name, address, phone number to claim your prize. Syinix will contact you within 15days when the activity ends. 4. 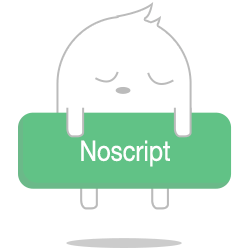 Only valid for Nigerian participants. 5. Syinix Electronics reserves all right of final interpretation for this activity. 6. Participants who found cheating will be disqualified from attending any activities in the future. 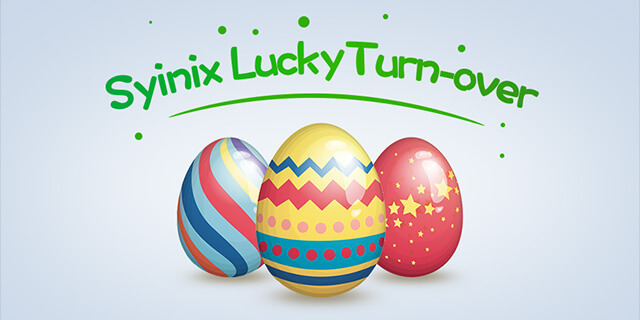 Syinix wishes you happy Easter and enjoy the game. 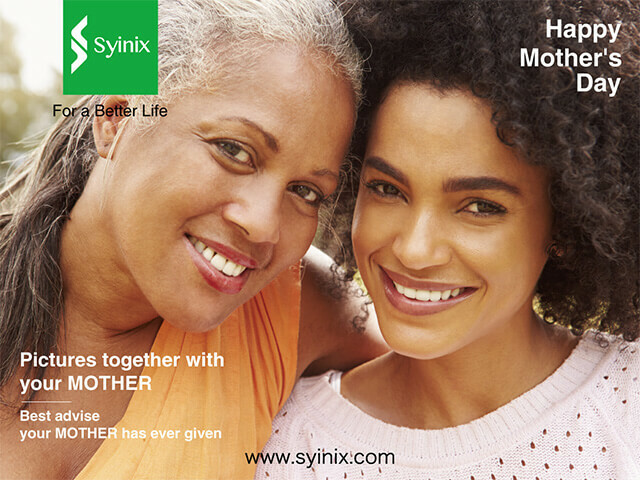 To win more, like www.facebook.com/SyinixNigeria and stay tuned. 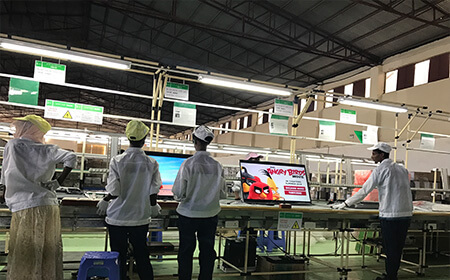 After half a year’s preparation, Syinix TV production linessuccessfully put into production and able toproduce TVindependently with a production capacity of 5000 sets including 22 inches all the way to 55 inches TV.The factory consists of professionals both locally and from abroad who are skilled and well trained. 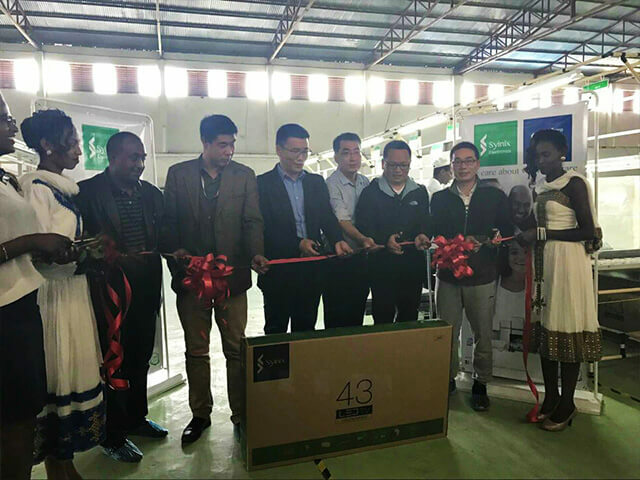 Yan, Syinix Sales manage in Ethiopia, and guests from Transsion Holdings attended the grand opening ceremony and witnessed the very first Syinix TV off the assembly line. 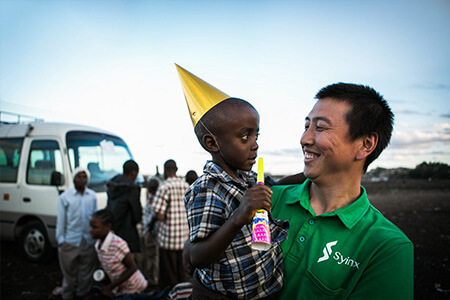 It was also announced at the event that March 1st would be the annual Syinix Festival for Ethiopian fans in the future, to be celebrated by activities like nationwide fans carnival, special membership half-discount birthday offer, and other promotional campaigns. The newly produced Syinix TV will be available soon at Ethiopian market. It’s brand essence of comfort and economy is embedded in the theme color of green symbolizing nature and health, simple yet elegant finish design, easy and optimized user experiences etc. 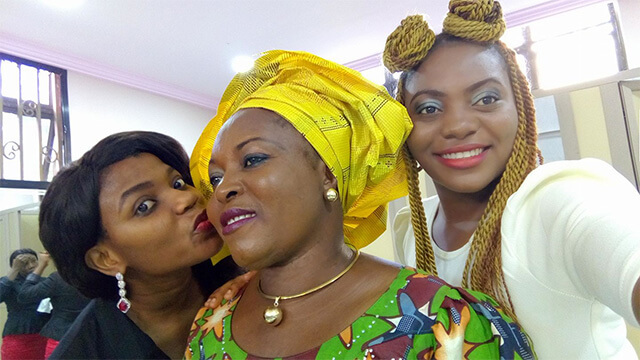 Lagos International Trade Fair is a 10 day event being held from 4th November to the 13th November 2016 at the TafawaBalewa Square Lagos in Lagos, Nigeria. This event showcases products like offers a unique exposition for manufacturers, suppliers, buyers and users of a wide range of goods and services as well as opportunities for investment and trade promotion etc. in the Business Services industry. 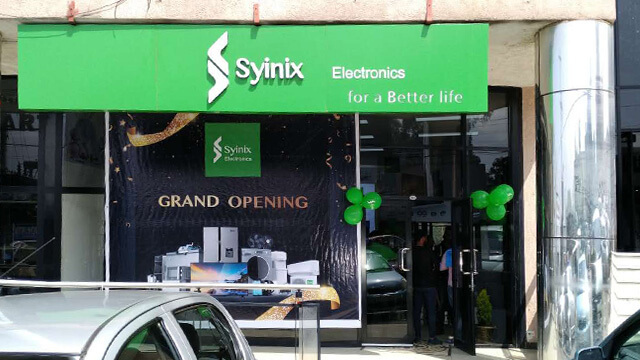 Syinix has a comprehensive product portfolio of home appliances with different models, including blenders, kettles, electric irons, juicers, citrus presses, refrigerators, chest freezers, water dispensers, rice cookers, fans, gas stoves, etc. 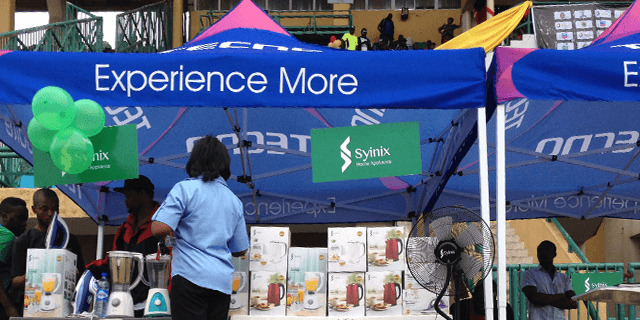 At this fair, Syinix display a full range of its products and attracts flood of people to its stand. Be a part of the biggest discount in the entire city at the Lagos Trade fair. Go find Syinix, and do not miss the best offer of the year. Originated from Japan with a basic principle of “For a Better Life”, Syinix is a professional electronics brand committed to becoming a practical family choice for warm and cozy lives. The TV have 3 size options of 40, 32, and 22. All TV sets are super slim with high-resolution screens, equipped with convenient multiple terminals (AV in x2, HDMI x2). It boasts of superb pictures and voices thanks to functions like color fidelity, sharp contrast, and supports local language menu display and USB play as well. 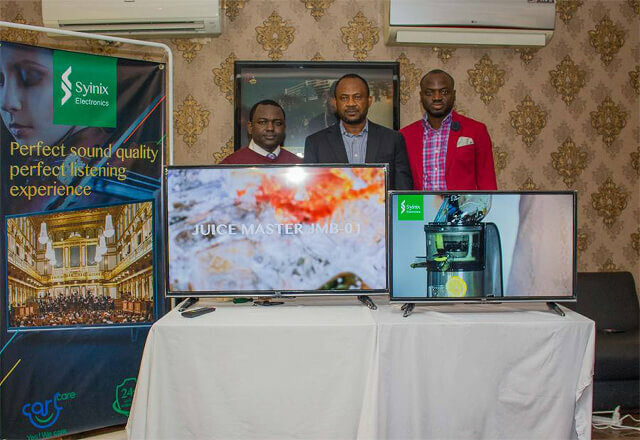 The Syinix TV launch party was held in Lagos, witnessed by more than 20 representatives from the top Nigeria media and websites, bloggers, Syinix fans and distributors. 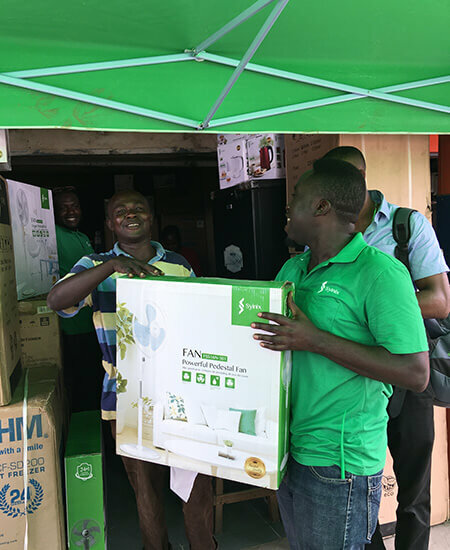 All attendees had felt the glamour of competitive sports with the live show of European Cup Final from the Syinix TV and the fierce yet fun Xbox football matches onsite. 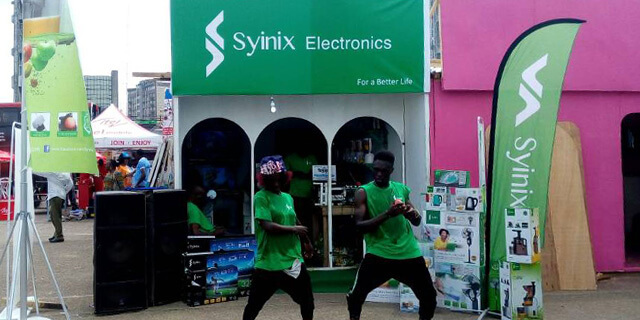 It was also announced at the party that July 11 would be the annual Syinix Festival for Nigerian fans in the future, to be celebrated by events like nationwide fans carnival, special membership half-discount birthday offer, and other promotional campaigns. 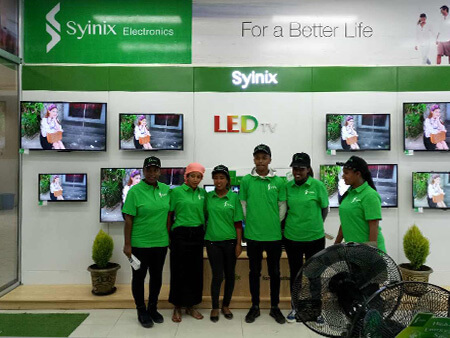 The newly released Syinix TV are available now in all major shops and supermarkets of Nigerian cities. 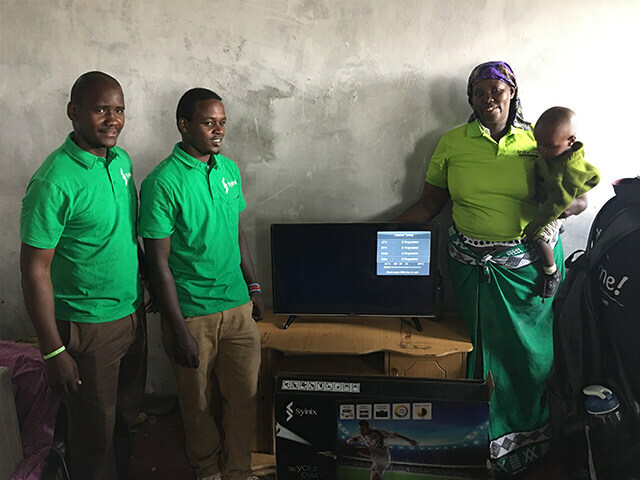 Syinix donated a 32 inch LED TV set, hoping to make their day and do something for them. It feels so nice to make the kids happy. 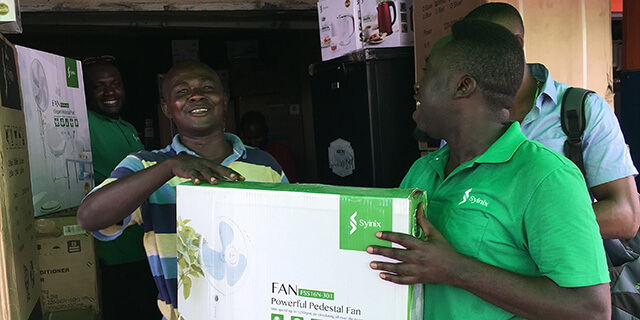 Syinix, originated from Japan with a basic principle of “For a Better Life”, is a professional electronics brand which is committed to become a practical family choice for warm and cozy lives and do more contribution to African society. 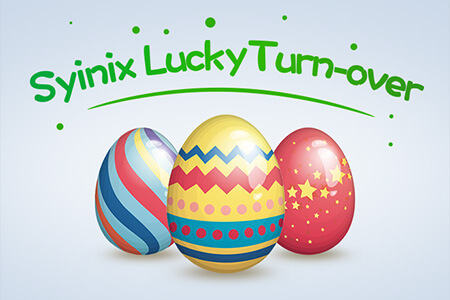 This Easter, Syinix has painted the street in Syinix Green. 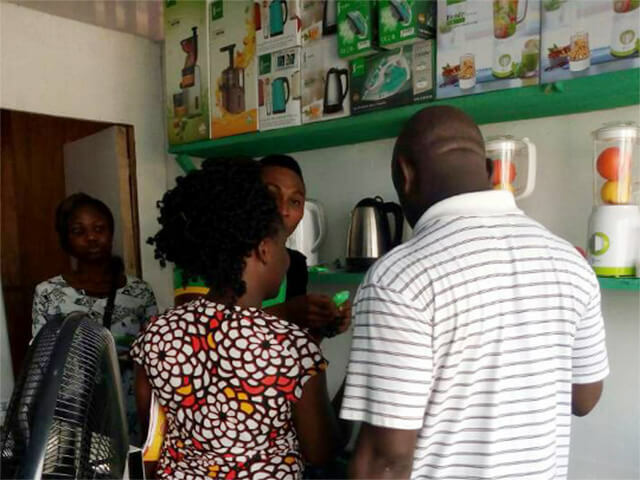 Brilliant road shows and discounts are given at 6 participating stores, which are 3CHUB, Pointek, Adebowale Super Stores, Glorious Opportunities, Smartek and Mila Holdings. Besides enjoying colorful shows, customers who purchase Syinix products at the site can also get rewarded gifts including backpacks, aprons, stir bars, peelers, etc. 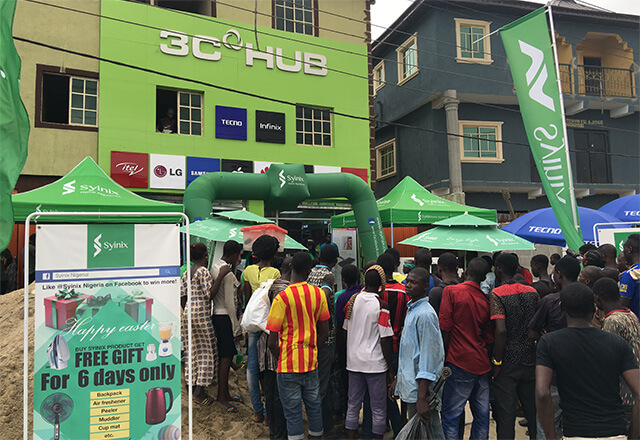 Yesterday, a flood of people joined the Easter promo held by Syinix at Mila Holdings, ALABA international market. The promo achieved a complete success. Many fans have enjoyed the fun and won different gift items at the site. 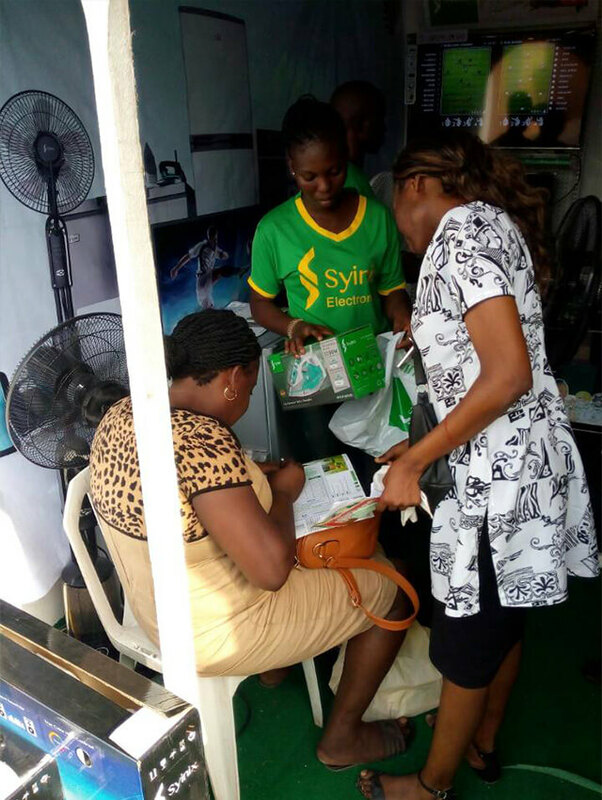 Today, Syinix Easter promo will come to its last stop, 3CHUB at 277 Agege Motor Road. If you missed the previous event, don’t be left out this time. Many more gift items are available for giveaways. 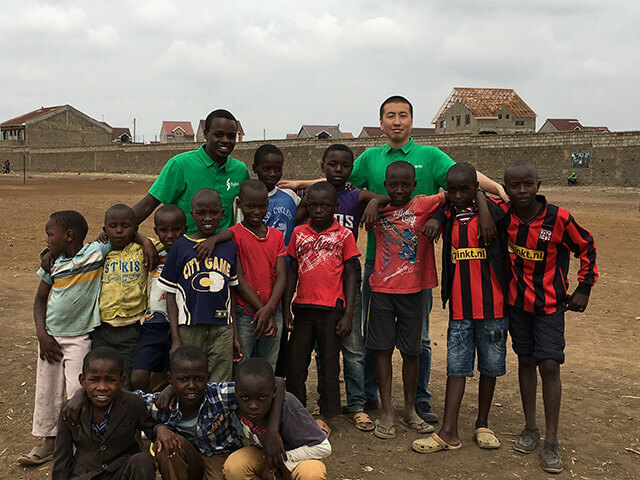 Syinix will continue to spare no efforts to improve people life experience and hope more of you can continuously support Syinix. 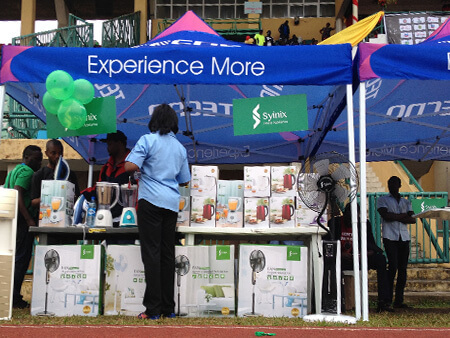 As one of cosponsors, Syinix gave out gift items to key winners of the Games and also sold Syinix Products on the ground. This event has raised enough awareness for Syinix brand, generated goodwill with the entire Oil & Gas Industry and also made positive impressions with potential corporate organizations, customers and the media.